We’re not Presbyterian. What does that mean for my camper? Camp sounds great but I'm not sure I can afford it. My camper is a year younger/older than the listed ages. Can they still attend? My camper has a friend who is coming to camp too. Will they be in the same cabin? How can I talk to my camper while they’re at camp? What is the counsellor to camper ratio? What happens with my camper’s medication? My camper has specific dietary requirements. Will the camp kitchen be able to accommodate them? How do you deal with campers who miss home? Should my child bring their iPod / cell phone? What qualifications to do your staff have? We welcome any and all campers to our camp, regardless of their religious upbringing or personal beliefs. We follow the Vibrant Faith program for our TLC (Talking and Learning in Christ) time with our cabins, and will promote a safe space to voice unique and differing opinions within these conversations. 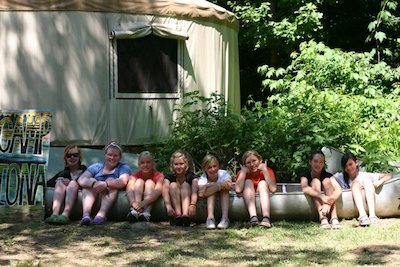 Our campership fund is available for families who require financial support for their children to attend camp. This fund allows a partial subsidy of the camp fees to qualifying families. If you require financial assistance, please contact our camp office at admin@ilovecamp.org to request a copy of the application form. As a parent you know your child best. If you think that your eight year old child would do better in a camp with for seven year olds, please contact our camp office at admin@ilovecamp.org to discuss the situation and arrangements can be made. We want to give your camper the best experience possible. You can submit cabin requests online when completing your registration information forms. While we strive to do our best to accommodate all requests, we cannot guarantee that campers will be able to be placed in the same cabin. Cabin assignments are based on ages and number of campers. You are welcome to contact your camper by mail or email while they are at camp. Keep in mind that it takes about three business days for mail to travel in Ontario. Our mailing address is 3200 Muskoka Road 117, Baysville ON, P0B 1A0. We also offer a free, one-way email service to all camper families. Send an email to cairncamp@gmail.com, including the camper’s name and cabin name in the subject line, and we will print off these emails every morning to distribute to the campers. Our registered camp nurse keeps all medication in the Health Centre, and will dispense it as prescribed. Please remember to send required medications to camp with your campers, and include all information about their health conditions on the health form. Our kitchen manager strives to prepare delicious and nutritious meals for all of our campers. We do our best to accommodate any special dietary concerns, as long as we have sufficient notice. Please ensure that all special dietary needs are noted on the health form when you register. While we strive to accommodate all specific dietary needs, we cannot guarantee an allergen-free site. We recognize that a number of campers do miss home while they are at camp. Firstly, we engage all campers in a wide variety of activities throughout the day and into the evening so they focus on what is happening immediately around them, as opposed to what may be going on at home. Our staff will also use a number of strategies, including singing their cabins to sleep, encouraging the camper to write a letter to the people they miss, and journalling about their day, all the while ensuring that the campers are heard, validated, and cared for always. At Cairn we believe that the experience we provide is enhanced by unplugging from electronics. Your camper will have the opportunity to meet and make new friends, try a variety of camp activities, and fully engage in an extraordinary world, without feeling the urge to check their phone. We also have a Social Media Director who will be taking pictures throughout the summer as well, so there will be plenty of pictures and videos to document the fun they have. At Glen Mhor, campers sleep in cabins with bunk beds. Their two assigned counsellors sleep in the cabin with the campers. Cabins hold a maximum of 10 campers and two counsellors. Campers with special physical, emotional or behavioural needs may be assigned an additional one-on-one counsellor. At Iona, campers sleep in a “tabin,” (similar to a “yurt”) which is a canvas tent with a wooden base. Campers will sleep on mattresses. As our wilderness camp, campers will also experience a canoe trip, which will include them sleeping in a tent. At camp we have the 4 S's of sun safety. Our Baysville site is close to two major hospitals. One is in the neighbouring town of Bracebridge and the other in the nearby town of Huntsville. All of our staff are certified in Standard First Aid and CPR. Those in charge of our waterfront activities have either their Bronze Cross or NLS and/or ORCKA qualifications for canoeing and kayaking. We also run a lot of specialized arts and sports programming at Cairn and all of the staff members who run those programs are artists/athletes with experience through classes, lessons, coaching and practice. Many are in post-secondary education for the subject areas that they lead at camp.